I received a 15 gallon used Rye Whiskey from my wife for my birthday last year. 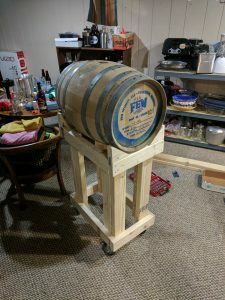 I had been meaning to build a barrel stand for it, but had not gotten around to it with travel and the holidays. As it’s a new year, this should be an easy one to cross off the list. I was not able to find too much online regarding plans. I did find this site but quickly realized this was way too low to the ground to be able to siphon beer out. I also thought I had long enough screws at home and did not. So a second trip (when do you really ever get everything you need from home depot on the first trip?) 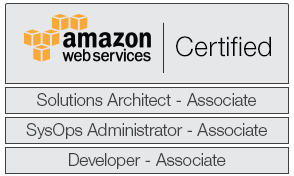 was required. I will say that pilot holes were needed for every screw. 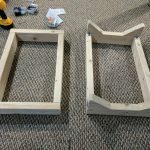 After I had all of this, I started to work on the measurements. 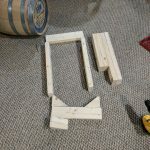 My plan was to make a cradle to hold the barrel, then build a rectangle of the same size to be the bottom, then connect with some more beams. Lastly, I would put the casters on the bottom. 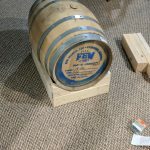 For my 15 gallon barrel I found the following measurements to work well. 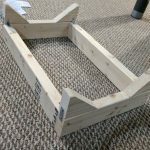 The cradle and bottom pieces measure 15 inches wide and 20.5 inches long. The angle pieces to hold the barrel are cut at a 50 degree angle. 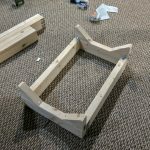 I had test these angle pieces out a few times until i found a size that worked. I had a bit of a misstep when it came to the overall height of the barrel. Using a table as a reference, I decided 27 inches would be a good height. I then cut the wood to be 27 inches. 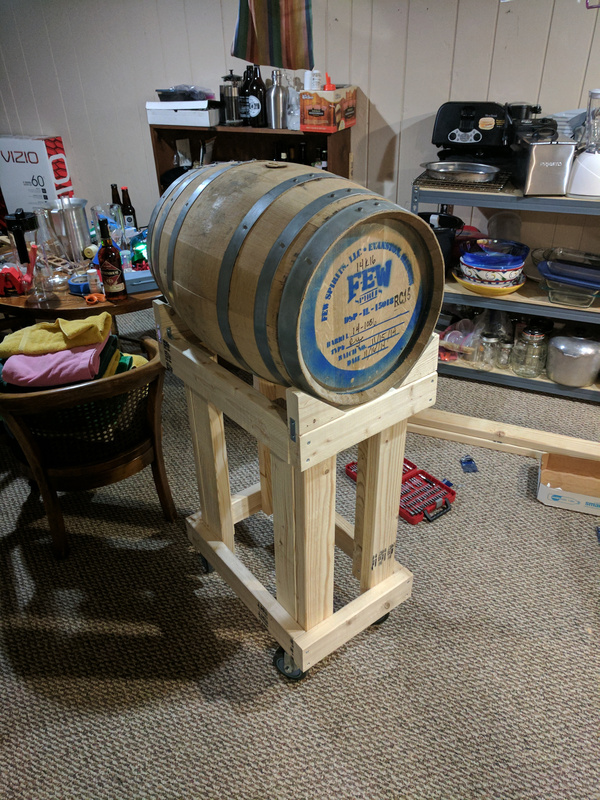 Several problems here, first I had to move the top up an extra inch so the barrel could fit in without sitting on top of the up and down wood pieces. Second was the casters are 4 inches… So I ended up with the barrel resting at ~32 inches. While this isn’t terrible, especially for siphoning, it did make it a little top heavy, so I just need to be careful moving it when full. Without further ado here is the gallery ending with the full build. I hope this can help other people as they are attempting to create their own.